Basil derived its name from Greek basileus which means "king". This is because it has a royal fragrance. Basil is one of the most popular culinary herb, used the world over for its aroma and flavor. The herb is native to Asia and has a strong, pungent and sweet smell. The herb grows best in hot, dry conditions. Available : 1 KG., 500 GM., 250 GM., 100 GM. 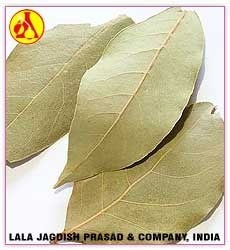 Bay Leaf Essential Oil is steam distiled from leaves of evergreen tropical bay tree, indigenous to Asia. It has a fresh, herbal fragrance and blends well with floral, citrus, herbal and spicy essential oils. Bay Leaf Essential Oils are known for antiseptic, astringent, toning and stimulating properties. 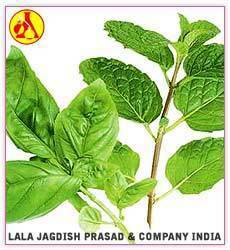 The warm spicy fragrance of the leaf is wonderful for relieving stress, anxiety and hysteria. 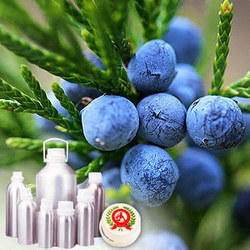 Application : Soaps, Cosmetics, Colognes, Hair Tonics, Insecticides and more. Available : 500 Gms, 1 Kg, 5 Kg, 10 Kg and as per requirements of the clients. 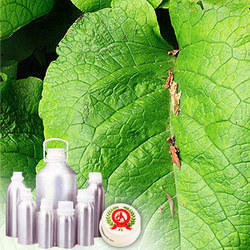 Packing : Food grade silver coated alumunium bottles and as per client's requirement. Benzoin Oil is extracted from resin of the Styrax Benzoin tree and belongs to the Stryracaceae family. It is also known as gum benzoin, luban jawi (meaning frankincense of Java), Benjamin or Styrax benzoin. The essential oil is commercially used as a fixative in perfumes. Benzoil oil can also be used for relieving bronchitis, coughs, colds, wounds, acne, eczema, psoriasis, rheumatism, arthritis, scar tissue, circulation, nervous tension, stress, muscle pains, chilblains, rashes and mouth ulcers. Blending : Bergamot, Coriander, Frankincense, Juniper, Lavender, Lemon, Myrrh, Orange and Sandalwood. Application : Antiseptic, Anti-depressant, Anti-inflammatory Agents, Deodorant, Perfumes, Vulnerary and more. Available : 1 KG., 500 GM., 250 GM., 100 GM., 50 GM. Packing : Food grade silver coated alumunium bottles and as per client's requirement.Benzoin Oil is extracted from resin of the Styrax Benzoin tree and belongs to the Stryracaceae family. It is also known as gum benzoin, luban jawi (meaning frankincense of Java), Benjamin or Styrax benzoin. The essential oil is commercially used as a fixative in perfumes. Benzoil oil can also be used for relieving bronchitis, coughs, colds, wounds, acne, eczema, psoriasis, rheumatism, arthritis, scar tissue, circulation, nervous tension, stress, muscle pains, chilblains, rashes and mouth ulcers. Application : Antiseptic, Anti-depressant, Anti-inflammatory Agents, Deodorant, Perfumes, Sedative Vulnerary and more. 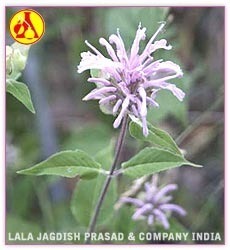 A valuable oil is obtained from leaves of bergamot mint (Mentha citrata Ehrh). The oil is used in perfumery industry. The agrotechnology has been developed and a sizable quantity of oil is being produced in the country, mainly in (U.P) India. Application - Soap, Cosmetic, Perfume, Toiletry Items. Packing : Food Grade Silver Coated Alumunium Bottels And As Per Client Requirements.A valuable oil is obtained from leaves of bergamot mint (Mentha citrata Ehrh). The oil is used in perfumery industry. The agrotechnology has been developed and a sizable quantity of oil is being produced in the country, mainly in (U.P) India. Derived from the peel of the root, Bergamot Oil has a citrus delightful aroma. It produces an uplifting, refreshingly astringent atmosphere that can assist in reducing anxiety and depression. Well-diluted in a facial or body oil bergapten-free Bergamot's anti-septic and anti-fungal properties can be helpful for acne. 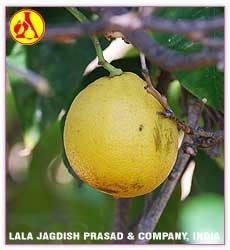 It is also used for various other skin problems. Bergamot is popular as a perfume ingredient in commercial and home recipes. Blending: Cypress, Sandalwood, Juniper, Coriander, Black Pepper, Ginger, Clary Sage, Rosemary, Frankincense and more. Applications: Antiseptic, Antifungal, Soaps, Shampoos, Facial Toners, Perfumes and more. A twining vine part of the pepper family, whose leaves yield an aromatic essential oil rich in powerfully antiseptic phenols. The leaves are also rich in starch, sugars and tannins. The cultivation of this creeper needs a lot of care and attention. Dryness and exposure to the sun for too long a period can harm and plant. The heart-shaped leaves have distinct pleasant aroma and are commonly chewed alone or with other plant materials. Available : 1 KG., 500 GM., 250 GM., 100 GM., 50 GM., 25 GM., 10 GM. Black pepper essential oil is extracted from dried, fully grown yet unripe fruit of the pepper plant - a perennial woody vine with heart shaped leaves and small white flowers. The oil is highly beneficial when used in massage to ease aching muscles and encourage suppleness after strenuous exercise. Black Pepper oil has a deep penetrating warmth that invigorates and stimulates both body and mind.Black pepper essential oil is extracted from dried, fully grown yet unripe fruit of the pepper plant - a perennial woody vine with heart shaped leaves and small white flowers. The oil is highly beneficial when used in massage to ease aching muscles and encourage suppleness after strenuous exercise. Black Pepper oil has a deep penetrating warmth that invigorates and stimulates both body and mind. Applications: Blending: Rosemary, Marjoram, Thyme, Pine, Fir Needle Balsam, Lavender, Lemon and other Spice Oils.